Bring new life to your retractable awning with a new custom cover. 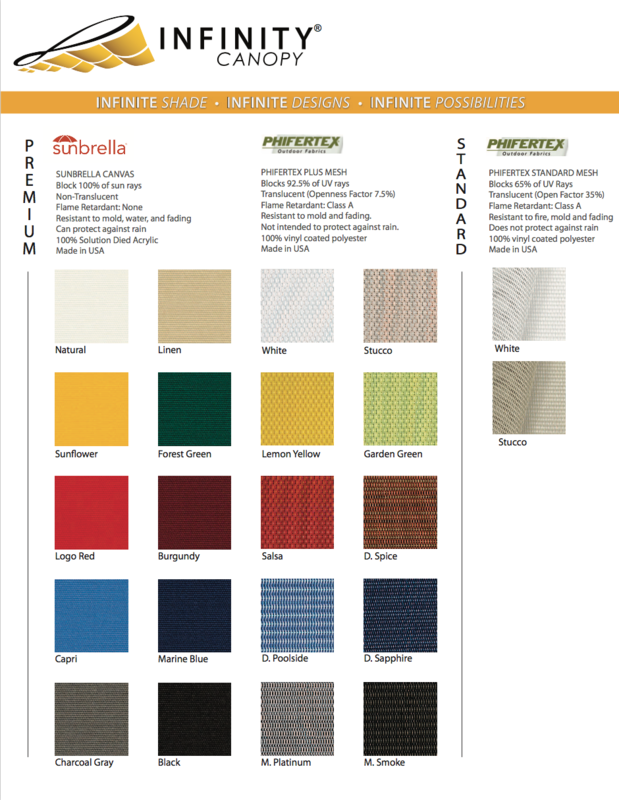 Mr. Cover All only delivers the best fabrics with hundreds of choices from Sunbrella and Dickson! Update your awning today with Mr. Cover All, retail and install services available. Bring new life to your awning with a new custom cover, we offer the best fabrics from Sunbrella and Dickson. If you love both the sun and the shade, then a retractable canopy might be just the thing for you. A retractable canopy allows you to decide when you want to allow the sun in and when you want to have a bit of shade. As its name implies, you retract the canopy in and out to suit your preferences. 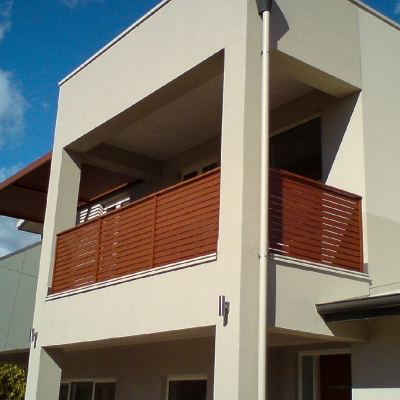 Infinity Canopy makes one of the top retracting shades in the industry. The Infinity shade replaces rigid shade products with one that is versatile, customizable and adaptable. Part of what’s so advantageous about the Infinity canopy is that its panels can be custom configured to accommodate any length and width requirements to cover the space that you want covered. The unique design of our cable shade canopy provides possibilities that other shade systems can’t. Available custom-designed and installed for you, or as a DIY cable shade installation kit. 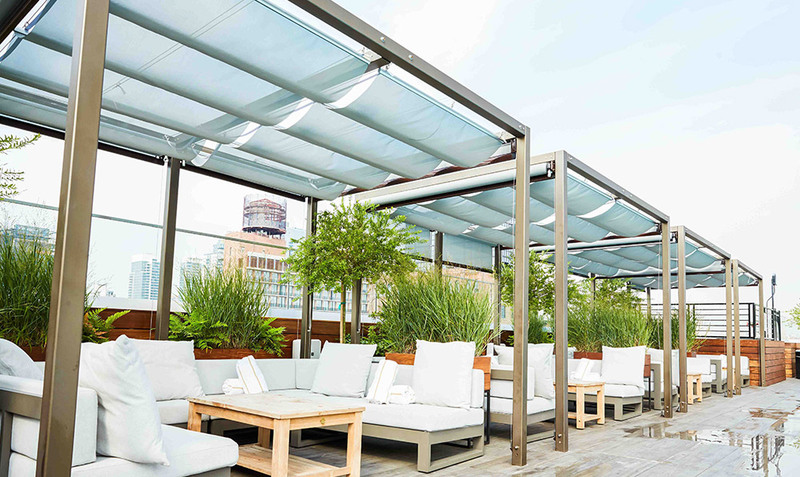 If you’re in the market for a retractable canopy, contact us to get options and a price quote.